In January 1988, at the age of 23, Steve purchased a small 2 bay shop at the corner of 2nd and U Street. Today, Eureka Brake & Automotive continues to grow, with a team of exceptional employees and 12 bays to efficiently service our customers. opened his own shop, Eureka Brake & Automotive, in 1988 when he was 23. Steve is no stranger to hard work and perseverance. Steve and Lacee married in 1990, and not long after, the shop was so busy that Lacee was needed fulltime in the business. Over the years, the couple has built an incredible partnership in the automotive industry while raising a family of their own. Following in their parent’s footsteps, they too have balanced running a successful business and raising a family, and they continue to hone their skills in all aspects of auto repair, management, and creating a great team. The Cunninghams interest in helping others find their own career paths has lead them to become involved with a number of local and national organizations. Steve has served as department advisor for the Eureka High School Automotive Department and as a board member for College of the Redwoods Automotive Department. Lacee is a member of WECARE, an advisory council dedicated to educating women and men on career opportunities in the automotive industry. In 2014, Steve and Lacee once again decided to grow their business by purchasing Steve’s parents’ auto repair shop, Old Town Auto Service. They now run both shops, enabling them to reach more people and create more career opportunities for those who want them. Their daughters are also learning the family business of providing excellence in auto repair and service. 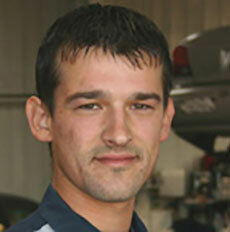 Ken joined the Eureka Brake family as an apprentice while still at Eureka High School. He rapidly worked his way through as many automotive training courses as he could get his hands on, and is the youngest Eureka Brake employee in history to achieve ASE Master Technician certification. In May of 2012, Ken was promoted to Service Advisor, and shortly thereafter became Service Manager. He has continued his education in management and customer relations, and is committed to taking care of Eureka Brake’s customers. Ken enjoys spending time with his wife and children, whether at Ruth Lake or coaching his kids’ sports teams. He is also an excellent photographer, shooting pictures of landscapes and interesting architectural features, as well as portraits. Bryon has worked in the automotive industry for more than 20 years, starting as a lube tech for a local dealership and working his way up to Service Advisor. 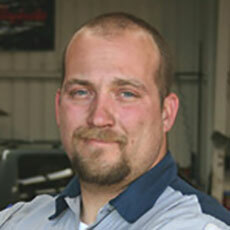 He joined the Eureka Brake family in 2005, and has been taking excellent care of our customers ever since. Bryon’s interest in automotive mechanics began when his grandfather was the auto instructor at College of the Redwoods. Grandpa showed Bryon, at about the age of 8, how to repack the wheel bearings on his car, to which Bryon said, “It’s so cool that you get paid to get greasy and dirty!” Kids say the darndest things! Bryon is a great family guy who enjoys traveling to his daughters’ soccer games, spending time with his wife and daughters, as well as hunting, fishing, and playing golf. 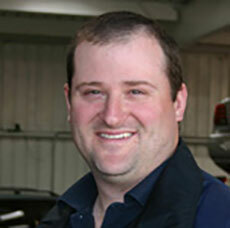 Hymie joined the Eureka Brake family in 2001, and has worked hard to learn every aspect of automotive repair. He is now ASE Master certified in all areas, including engine diagnostics and repair, brakes, suspension and steering, electrical, manual drivetrain, and axel. Hymie says he has been interest in cars practically all his life. He started working on his own cars at a young age, and after being in the auto repair field for many years, he is a well-trained and diverse technician. As Shop Forman, he also assists others when needed, and ensures the techs have the tools and equipment needed to perform their work. In his spare time, Hymie enjoys golfing, hunting, camping, and spending time with his family. Jeremy became interested in fixing cars while taking high school auto shop classes. He enjoyed hanging out in the shop with his buddies, socializing and working on cars. He also loved to go off-road 4-wheeling, and would often damage his truck doing it. But that didn’t scare Jeremy—instead, it gave him something new to fix! Jeremy is the proud father of Emma Rose. In his free time, he enjoys family outings and going to the lake or river. Mallory was born and raised in Humboldt County and is quite at home at Eureka Brake & Automotive. Many Eureka Brake customers remember Steve and Lacee bringing little Mallory to the shop and seeing her in the play pin or Johnny Jump swing that hung in the doorway of Lacee’s office. Mallory and her sister grew up in the business and have always enjoyed talking to people and making others feel at home at Eureka Brake too. Mallory worked summers and holidays at Eureka Brake while in high school and also while attending University of Oregon where she earned a Bachelor of Science degree in Journalism with an emphasis in public relations and marketing. While many career opportunities exist in this field, after college, Mallory was ready to come back to the community she loves and share her skills in the family business. Mallory is very active and constantly on the move. In her spare time, she enjoys exercising, wakeboarding, snowboarding, and spending time with friends and family. At a very young age, Joe loved to know how things worked. He spent hours taking apart his toys and putting them back together again just to see what made them go. In high school, Joe pursued a variety of subjects, but when he started auto shop, he knew he had found his home—he enjoyed working on cars and “taking them apart to see what made them go.” Today, Joe has worked in the automotive industry for over 13 years. As an ASE certified tech, he specifically shines in trouble shooting and diagnosing those hard to find problems. When Joe is not working on cars at Eureka Brake, he enjoys spending time with his wife and children, and he has his own personal fleet of cars to work on at home. Joe says teaching his kids about new things is one of his favorite things to do. As the current vice president of the Fraternal Order of Eagles, Joe steps right up to share his leadership skills and help others, whether it be at work or in his personal life. Like many of our best technicians, Scott came to Eureka Brake & Automotive early in his career as an apprentice, and has worked his way up. He graduated with an Associate of Science degree in Automotive Technology from College of the Redwoods, but he didn’t pursue auto repair as a career path initially. While Scott had always been interested in cars and even took auto shop classes in high school, he went to CR to become an X-ray technician. But once he discovered the extensive automotive classes available, as well as a career path in a field that had a demand for good technicians, Scott changed his educational coursework and has not looked back since. Scott continues to hone his skills and learn everything he can about repairing and maintaining vehicles through accredited ASE testing and technical courses sponsored by Eureka Brake & Automotive. In his spare time, he loves being outdoors, hiking, and taking road trips to explore new areas.